PHYSICAL More vs. Less alternatives. Granted, I’m no expert… These are all just thoughts and ideas. No one should attempt to do it all. Simply put the pieces together to craft the complete puzzle that best fits you!! Workout more. Diet less: Seriously. Get moving. All too often we focus on what we put in our mouths and restrict ourselves; however, we should restrict the use of the word diet instead. Remove it from your vocabulary. 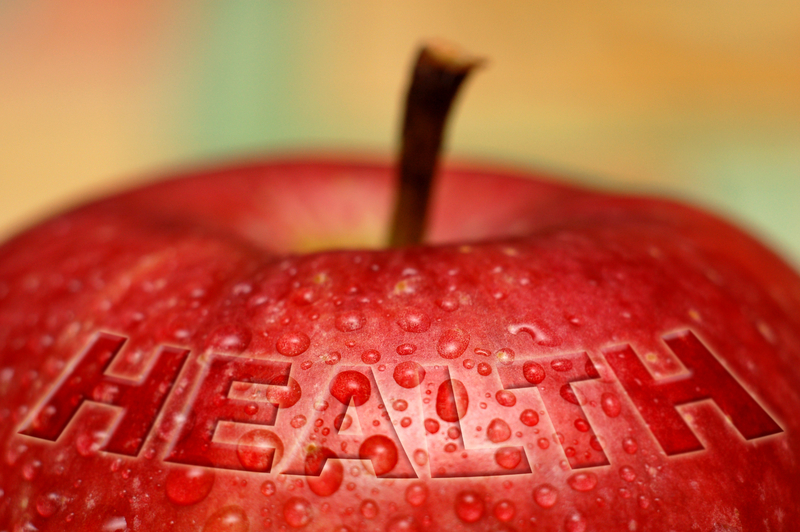 Health is about a lifestyle, not deprivation. Yes, nutrition is important; however, that alone is not enough. Workout. If you’ve been sedentary for a while, start with 5 minutes, work up a sweat, breathe heavily… and when that becomes easy then add 5 more minutes. If you look good after a workout, then you weren’t doing it right!! Keep building until you’re working out at least 3 days a week for 30 to 45 minutes. If you can do more, then knock yourself out. Cook more. Buy less: When you cook, you control the ingredients therefore controlling the salt, fat and calories you consume. Restaurant-made and pre-packaged meals are LOADED with sodium and preservatives. Who needs the chemicals? Besides, it is cheaper to buy groceries than eating out all the time. Start with a crock pot, work your way up to a casserole and before you know it you will be swinging from cabinet to fridge to stove while you create detailed entrees!! Sweat more. Sick less: When you’re working out… sweat it out. Let all those toxins ooze out of your pores. Sure, you may not look glamorous, but if you look the same at the end of your workout as you did at the beginning then you’re NOT working out. Let the sweat drip off of you. Then be sure to take a nice healthy shower to rinse all of that ickiness right off. The more you sweat be sure to drink lots of water to replenish necessary fluids and avoid dehydration. You will realize the more often you visit your gym, the fewer trips you make to the doctor’s office. Push yourself to your limits… and beyond!! Protein more. Sugar less: Not necessarily meat, meat, meat, but PROTEIN. It is a building block of your body and a necessary nutrient, so be sure to get enough of this at each meal. So whether you consume meat, tofu, beans, quinoa, dairy, soy or other means of protein… be sure to up the ante. Conversely, limit your sugar intake. Protein builds while sugar destroys. So limit all the junk eaten each day. Sure, it will be tough at first (if you’re an admitted sugar addict like me), but once you make it past the detox you will be home free! Move more. Sit less: Many, if not most of us, live sedentary lifestyles. We drive into work. Sitting. Our day at the office is spent at a desk staring at a computer. Sitting. Then we come home to plop on the couch in front of the TV. Sitting. We don’t even have to get up to change the TV channels anymore!! Move. Get your blood circulating. Sitting too much is not heart-healthy. Fruit more. Candy less: Put down that candy bar. If you must satisfy your sweet tooth, then reach for a piece of fruit rather than candy or another sugar laden treat. Fruit satiates your sweet craving while delivering a powerful-nutritious punch. If you’re working out, eat a banana right before your workout to aid in muscle repair. Eat a citrus fruit daily to aid in healthy skin and nails. Berries are considered a super food which have the highest level of antioxidants and deliver phytochemicals which have been said to fight cancer. Melons are considered the most nutritious of all the fruits. And of course the old adage that an apple a day keeps the doctor away. So no matter what your preference you cannot go wrong by reaching for a piece of fruit!! Sleep more. Weary less: Your body repairs itself while sleeping. True. Give your body more time to repair. Beauty sleep is not a myth or fairytale. Indeed 8 to 9 hours a night would be GRAND, but who has time for all of that, right? Aim for 6 to 7 hours. 7.5 would be dreamy!! Whatever you get… you can bank it is not enough, so do your best to increase it by ½ hour and once your body is used to that amount… increase by another ½ hour. Before you know it… you will be bright-eyed and bushy-tailed when your alarm rings each morning. Weary? No more!! Drink more. Weigh less: Alcohol? No. You know… WATER!! Drink as much as you can each day. Put down the soda. Do you know a can of soda will erode the acid off a car battery? AND we drink the stuff. Soda is damaging to our body in so many ways. Skip it all together. Same with juice and sports drinks. They’re loaded with sugar. Water, Water, Water. Then mix it up with a lil tea (green or herbal, preferably) and coffee with little to no sugar and/or creamer. Studies show that for each tablespoon of sugar and creamer you add to your daily coffee equates to a 10 pound gain over a one year period. Ouch. Drink it black. Straight up!! Natural more. Processed less: Ethyl Para Hydroxybenzonate, Potassium Metabisulphite, Hexamethylene Tetramine… Ohhh MY!!! All of these are food preservatives. WOW. What the heck are they? Do you realize that in the 30’s, 40’s and/or 50’s (sorry can’t remember the exact decade) we spent MORE for food, but LESS in medical/health bills. Compared to today where we pay LESS for food and MORE for medical/health bills. See the connection? Convenience is not always a good thing. Strive to eat natural rather than processed foods and save yourself a chemical or two and in the meantime a few dollars on healthcare! “If your great grandmother or grandmother wouldn’t have recognized it as food then DO NOT EAT IT! !” – Dr. Oz and Dr. Roizen. Fast ain’t food. Packaged ain’t food. Shop the outer aisles of the grocery (produce, whole grains, lean meats and dairy) and stay away from all of the packaged, processed, preserved junk in the middle of the store. Walk more. Drive less: How often do you drive around and around and around the parking lot looking for the closest spot? Really? Drive to the back and take the extra steps. Goal = 10,000 steps a day. Purchase a pedometer to see how many steps you get daily. Less than 3,000 per day is laughable. Aim for 5,000 at the very least. Make it a game to increase it each day. Yep, 10,000 is easy once you start moving. So put down the keys and get to stepping. Walk. Veggies more. Meat less: Vegetables are packed with nutrients. Namely, fiber. Yep… you need it for a healthy digestive system. The older we get, unfortunately, constipation sets in. Ugh. So, pack your plate with veggies which are lower in calories and help to fill you up too. Definitely a 1-2-3 powerhouse item. Yes, we need our protein, but think about it… you eat a hamburger and fries. That is your meal. Where are your veggies? No, the one leaf of lettuce and yellow tomato on your burger DO NOT COUNT. Load your plate up with as many colors of the rainbow in order to get a variety of nutrients. PS, potatoes do not count as a veggie. Sorry. Act more. Think less: You make a decision to be fit, healthy and active. Okay. Now what? Did you take action? If not, then your thought is no good. Thinking of something doesn’t matter. Doing it does. So, sure set a goal. Write it down. Make it real. THEN DO IT!! Nike was onto something when they created their slogan. Ultimately… this is the only body you’ve been given and how you treat it will determine how it behaves for you. Do you take care of your car or other modes of transportation? Why wouldn’t you take care of the MOST IMPORTANT mode of transportation ever given to you… your body? Couldn’t agree more! Thanks for sharing!